It’s time your kitchen appliances had a personality… Yours. Café kitchen appliances from RC Willey make it possible to make your kitchen as unique, stylish and special as you are. With customized hardware and modern finishes, these appliances are designed to take center stage in your home. The Café line features Refrigerators, Ranges, Dishwashers, Cooktops, Wall Ovens and Hoods all built to perform at professional standards without compromising style. Whether you are preparing a meal for a party of 8 or a party of 2, Café kitchen appliances from RC Willey make cooking a joy. Café appliances from RC Willey make it a vibrant place for the whole family. Gather together and make mealtime family time. Café cooktops are seamlessly integrated into your countertops for a streamlined and modern look. Make a statement in your kitchen with modern Café refrigerators. 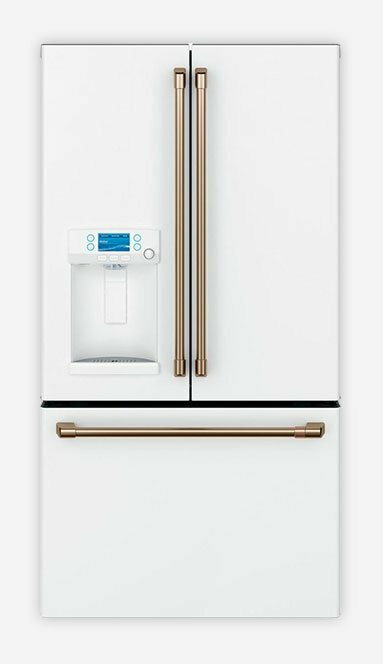 Café French-door refrigerators from RC Willey come with ice makers, water dispensers, LED lighting, spacious interiors, and flexible storage options. Select fridges offer WiFi Connect and Keurig K-Cup brewing on the refrigerator door. Customizable handles give your refrigerator its own personal style. Stylish Café refrigerators have the features you want. Cook, bake, roast and broil. Café ovens and microwaves are ready. Café wall ovens from RC Willey don’t just look great. 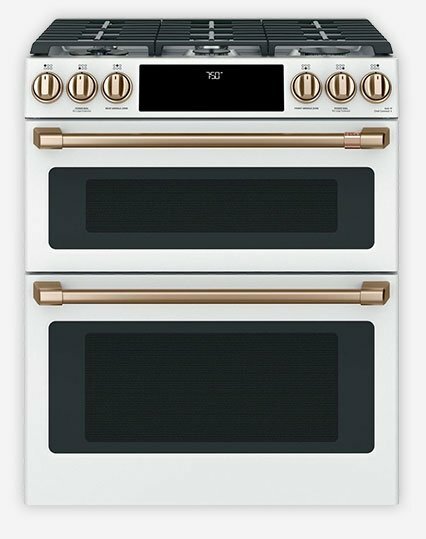 These Chef-inspired wall ovens feature true European convection cooking to ensure consistent, even baking every time. Choose from French-door or drop-down door models. 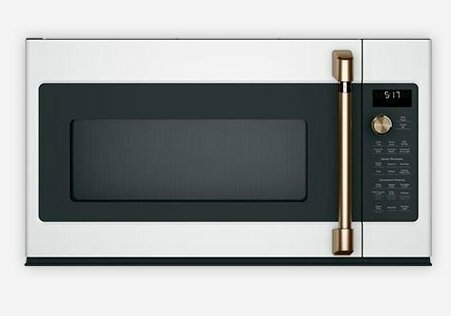 Café microwave ovens offer convenient cooking in just one touch. Achieve consistently delicious results with sensor cooking controls that automatically adjust the time and power. Complete your kitchen design with a Café wall ovens and microwaves from RC Willey. 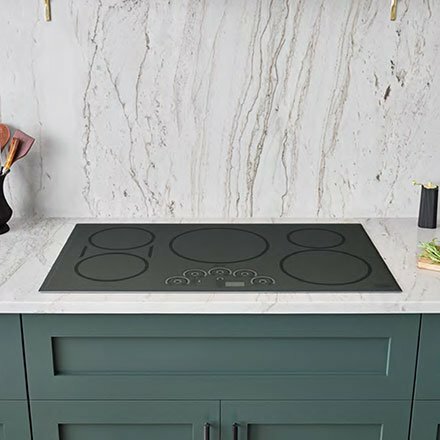 Cook and look like the pros with chef-inspired Café ranges and cooktops. Whether you are looking for a range or a cooktop—gas, electric, dual-fuel, or induction, RC Willey has it. With unique finishes and customizable hardware, Café ranges shine in any kitchen. Cook restaurant-quality meals with true European convection, heavy-duty burner grates, induction cooktops, LED backlit knobs, and synchronized elements to heat large pots or griddles. Give your meals restaurant-quality flavor with precise temperatures for boiling, simmering and searing. Select ranges include WiFi Connect. Our gas cooktops feature heavy-cast cooking grates and sealed cooktop burners. Electric cooktops provide rapid-heating with power boil. Order yours today. Make your dishes sparkle and shine with built-in Cafe dishwashers. 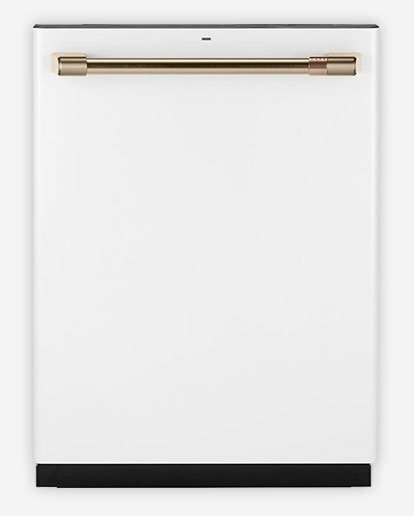 Customize your kitchen with a Café dishwasher at RC Willey. These quiet dishwashers feature hidden top controls with LCD displays. An advanced wash system with more than 140 cleaning jets makes it easy to make your dishes sparkle. Café built-in dishwashers feature a third rack for flatware and adjustable racks to hold dishes of different sizes. Enjoy chef-like results without having to leave home with Café Kitchen Appliances from RC Willey. Enjoy chef-like results without having to leave your home with Café Kitchen Appliances from RC Willey. Make your kitchen the kitchen of your dreams with all new Café Appliances. 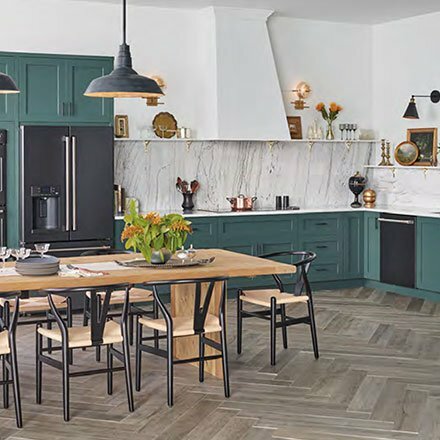 This unique line features French-door refrigerators, gas ranges, cooktops—gas, electric or induction, single or double wall ovens, and built-in dishwashers.